2013 has been a great year in the greenhouse and garden, despite my springtime difficulties with voles (as discussed in an earlier post). This photo was taken on July 11. In the foreground, Opuntia "Pony" is blooming while further in the distance, O. "Claude Arno" is in spectacular bloom. I was able to force pollinate to hopefully create a dozen or so hybrid seed collections, which I will harvest in October. 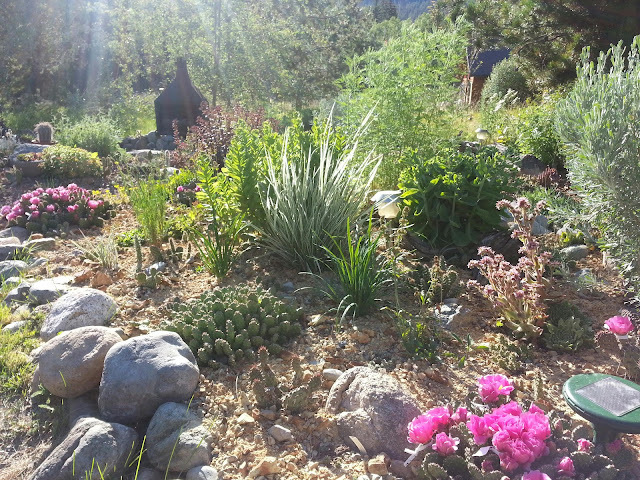 In 2013, I also began to add companion I grew many of these plants from seed I traded for or purchased from Alplains.com. I also began to collect seed from suitable native plants in shrub-steppe, montane and subalpine environments. 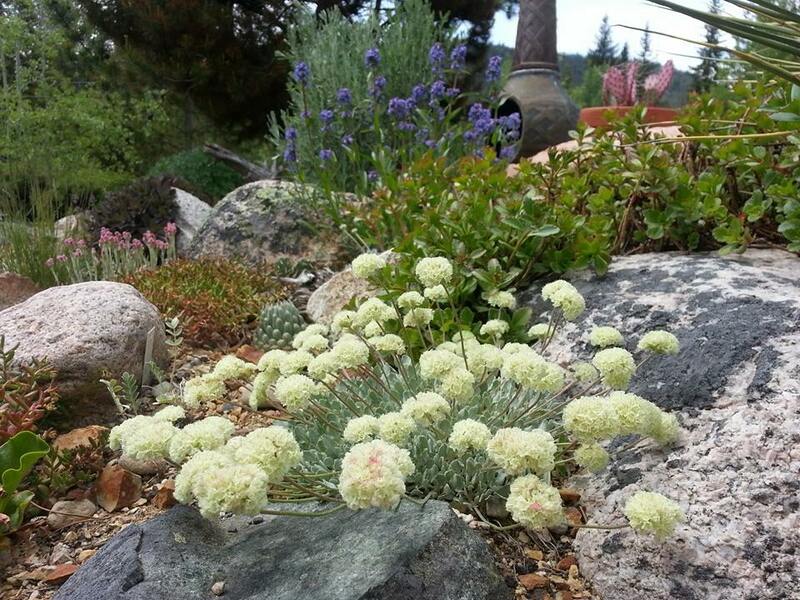 The highlight find was probably Eriogonum ovalifolium v. nivale, which I have managed to grow on from cuttings. I am still at work collecting seeds! 2014 should be a banner year.